The Matinee September 26th includes six new tracks for your listening pleasure. We have a mix of indie pop, synth pop and a bit of singer songwriter. We hope this playlist brightens up your Monday. We have artists representing Belgium, Canada, Greece, and the US today. We previously highlighted AFRAKITE last year with his soulful singer-songwriter vibe that includes a bit of world influence. 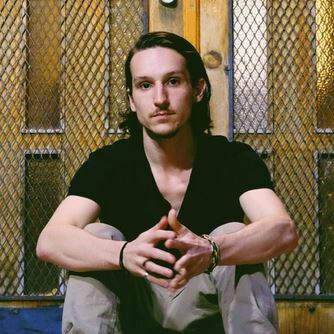 With “Carry Us” we hear his strong and unique vocals set against simple piano, driving percussion and world influenced harmonies. With “Carry Us” lyrically we have a story that might be about a parental relationship, or a serious intimate relationship where the writer learned a lot from the other person. We still don’t know AFRAKITE’s real name but we do know he is working on an EP and hopefully we will get new details soon from this talented Canadian. Cosmos & Creature are comprised of Brandyn Burnette and Molly Moore. The LA based duo have had their own success with other projects and recently started lending their vocals together for other projects. They are now capturing attention with their melodic indie-electronic pop with their own original songs. With “Young” we have a super infectious hook that keeps the listener feeling upbeat and well, young. Both of their vocals play perfectly off of each other and the lyrics speak of youth yet also wisdom learned from past experiences with a driving beat and harmonies you won’t soon forget. 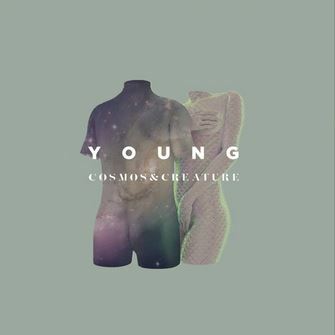 “Young” is another single released by Cosmos & Creature which will be part of an upcoming EP. We are sure to hear more from this up an coming duo. 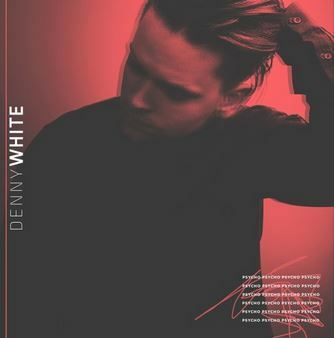 We previously shared Denny White’s debut track earlier this year. Denny is one half of the shimmery pop duo Golden Coast takes more of a brooding and serious tone with his second solo track. With “Psycho” we hear Mr. White’s soulful vocals continue to shine but this time set against subtle piano, driving drum beats and hypnotic synthetic bass. Lyrically the track takes a turn speaking to those relationships where the other person brings a certain something out of your soul and you don’t want to go back to who you were before. We previously shared a track by RAINSFORD earlier this year and she is back with “Too Close”. The multi talented artist (former country star, model and actress who has finally found her sound as RAINSFORD) continues to prove her vocal talent and songwriting skills with her newest release. With “Too Close” we have infectious pop melodies framing Ms. Qualley’s strong yet sugary vocals in the perfect setting. The track includes a nice funky 80s vibe with modern day synthpop woven in. Lyrically we hear of that relationship that is inching closer to serious and the best decision could just be to end it, even though the feelings are strong and apparent. Vocally RAINSFORD demonstrates her impressive range and vocal strength on “Too Close” and we know she could absolutely be a talented country star if she chose that route. In the meantime, we are impressed with her vocal prowess into the pop arena and are intrigued to see where else she takes her musical career. The summer is officially over, but “Come Undone” by Wooly Mammoths will take you immediately to a feel good and warm place. The Brussels based band take you on a psych inspired trip with a sound that wraps around you like a warm blanket. The track is sometimes soaring, anthemic and marvelous as it blends older sounds with new and ends in a amazing burst of sonic genius before it slowly brings you down with a funky bass line. “Come Undone” is the fourth single from Wooly Mammoths and we can’t wait to hear more from this talented indie psych pop quintet comprised of Sean, Mikey, Wouter, Freek, and Cedric. 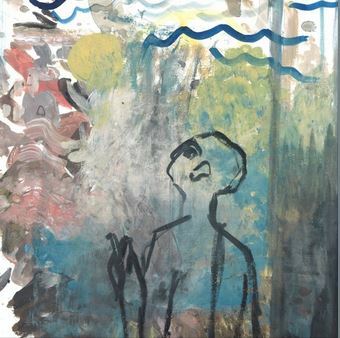 We don’t know much about VVELLS except that they are from Athens, Greece and they are making awesome dreamy indie pop. We know they are a new band and have two songs released so far. We are sharing “Green Lights” which provides us with a mix of amazing shoegaze along with a bit of psych inspired indie pop and a really funky bassline. The vocals are soothing and the lyrics are encouraging to keep your “eyes on the green lights” which remind us to stay focused on the positive things instead of all the obstacles in life that can sometimes bring us down. We do know there will be an EP coming soon but do not have an exact date just yet. 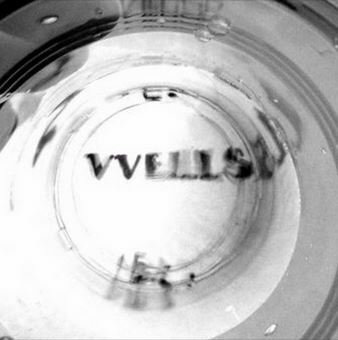 Go follow VVELLS on Soundcloud as that is currently their only social account at the moment.